Aero Express is an Authorized Distributor for the Avionics Specialist ASI-143-1. Aero Express will buy, sell and trade the ASI-143-1 depending on your needs. The ASI-143-1 Compass Simulator provides the simulated gyrocompass output that is required for testing various avionics units. The front panel switches can be wired through the rear connector to control an external piece of equipment. 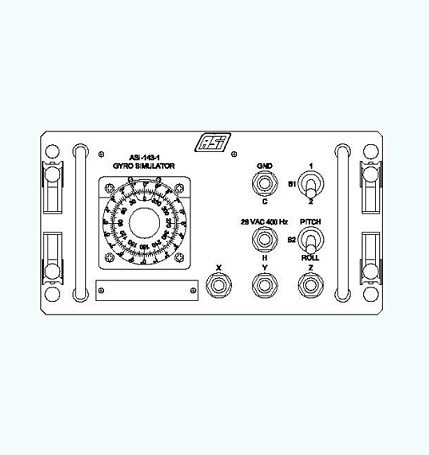 The ASI-143-1 is a synchro mounted in a compact package that can be installed into a top level test panel. Snap slide latches are included to hold the compass simulator securely in place. 1-Year Factory ASI Warranty on all new products.